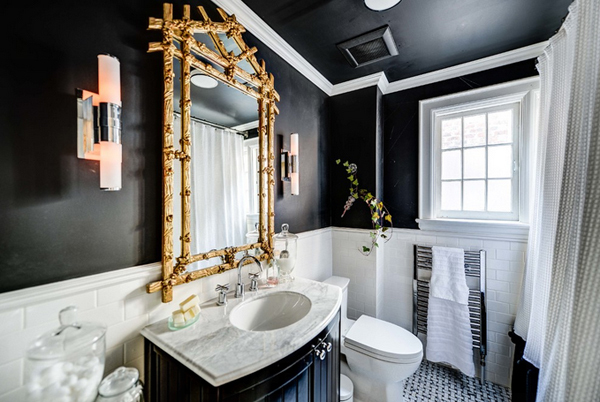 For whatever reason, I actually like looking at powder rooms because of how pretty this area “should” be specially if the person who owns the home is quite particular in beautification like make-up and the like. 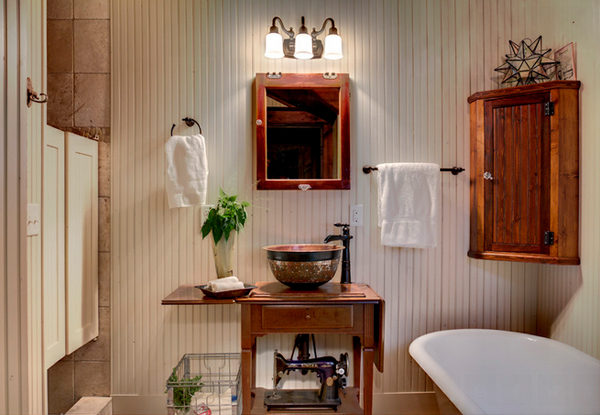 Of course, hotels is another story because they make sure that their powder rooms are really lovely, neat and Instagram-worthy for users to share their bathroom selfies. 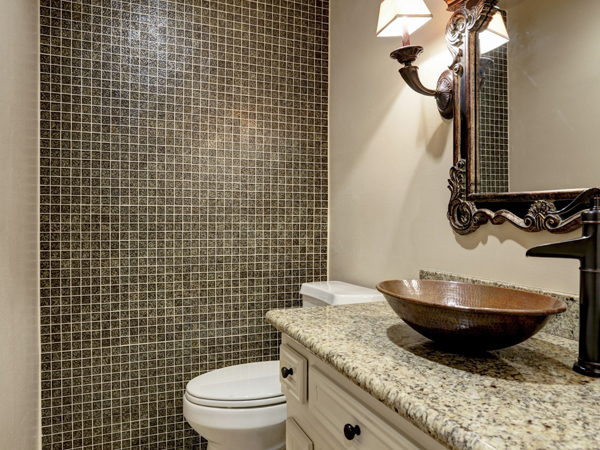 Below is a list of 20 Captivating Bronze Accents in Powder Rooms that is somehow related to the list that we have created about bathrooms and other spaces at home with bronze accents or decorations in them. They’re all pretty, catchy, a bit shiny and somehow expensive, but still, check them out though for a more detailed view. 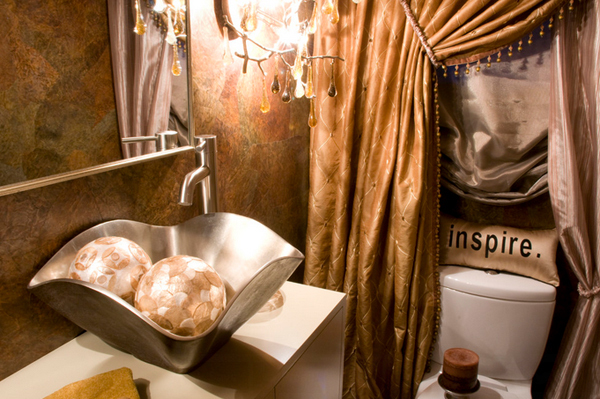 Sunburst mirrors of even ordinarily ordered or store-brought mirrors add a more creative touch to any space, especially in powder rooms because they are essential. 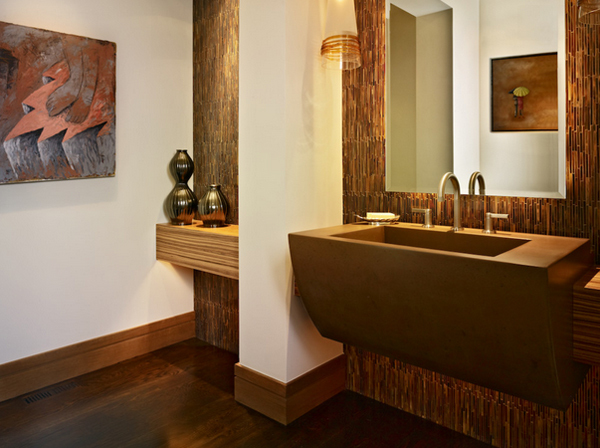 This is maybe how it gets; wooden cabinets for your lavatory, bronze sconces, a bronze basin and one large bronze mirror. The lighting fixture shown here is common in ships which is a cool feat for any room if you ask me since it boasts a unique look and feel. 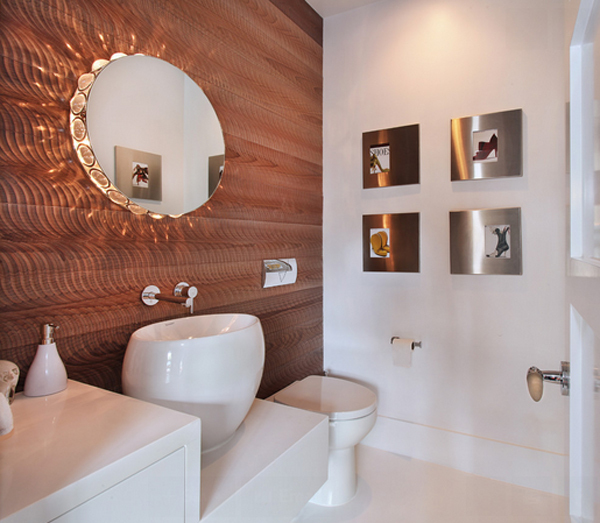 Bronze lavatory and bronze decor, when used in the right moderation will actually look good. 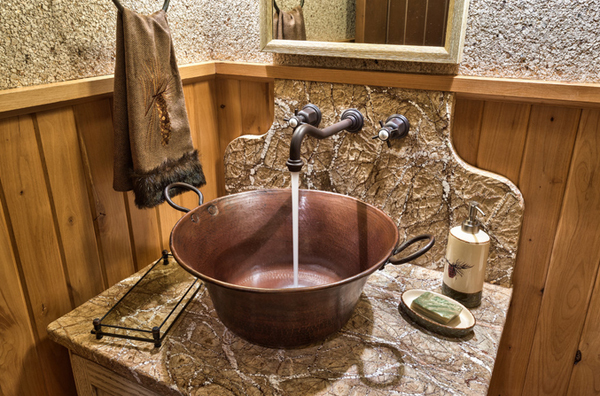 Look at the cute, rustic and bronze-colored basin seen here; completes the Mediterrean look this space have. I know this pictures looks cramp and zoomed out for us to look more into it, but just look at the bronze things this crowded room have! From the walls to the sunburst mirror, how much more bronze can one ask for? 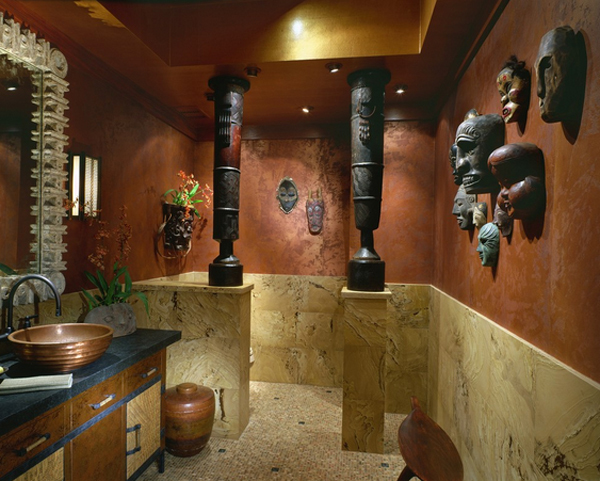 Some of the decor in this space is quite threatening if you do not quite have interest in masks and wooden carvings or whatnot, but the entire feel and aura of this powder room looks legit! 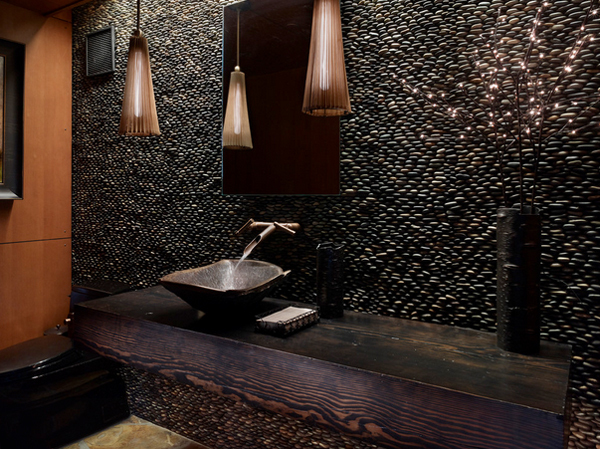 What can you say about the lighting fixtures in this powder room? 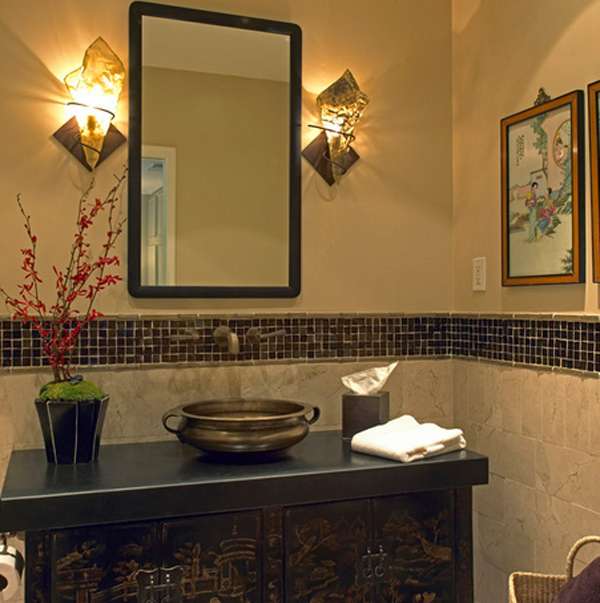 Asian, beautiful and quite fancy I should say; this is one good-looking powder room! 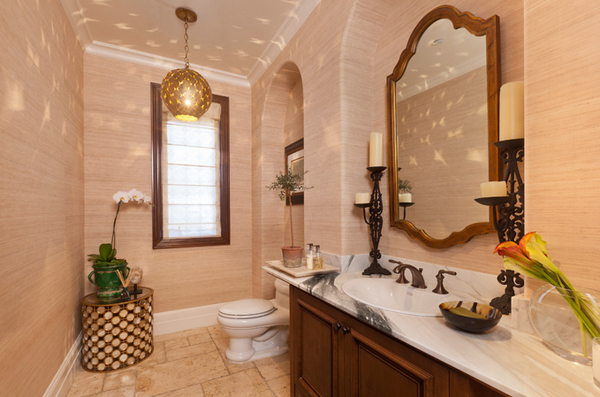 I really like this powder room because of the color of the tiles and that disco-ball looking pendant light. 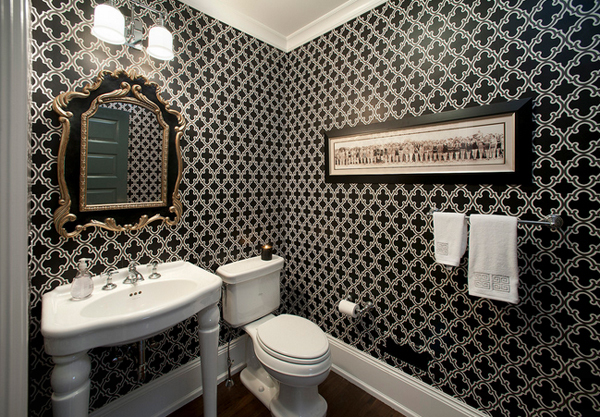 How do you like one stand-out item in one space in a black and white bathroom? Say no more coz’ this one sure is a keeper! 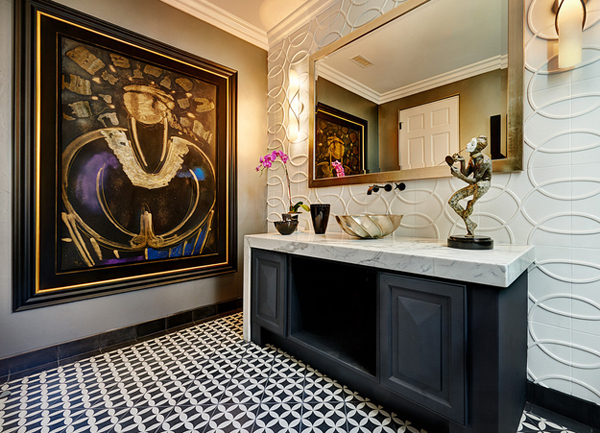 Here is another space with a black and white color scheme and has that one accent piece that completes the entire look. I checked, according to the website where I got this awesome picture, the frames on the walls area actually bronze. Need I say more? 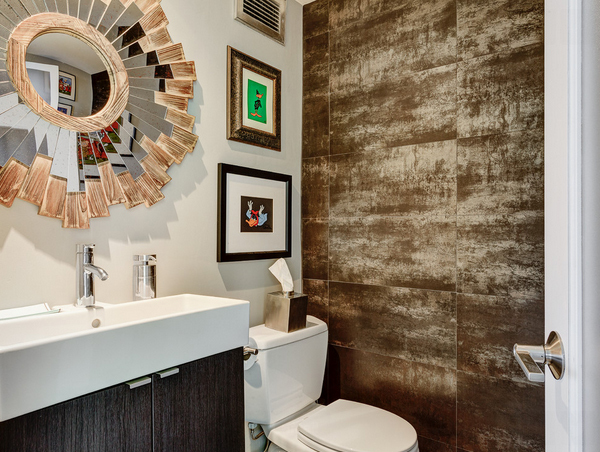 That one large painting sure makes up for the plain wall on its side and the large rectangular mirror on the other! Love this space! 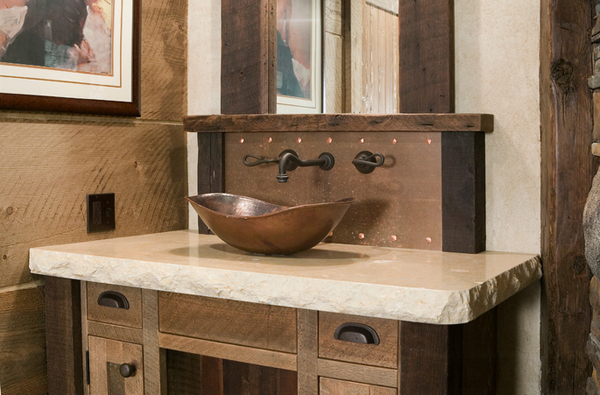 This rustic themed powder room sure calls out to me! All the browns and the bronze just mix well. 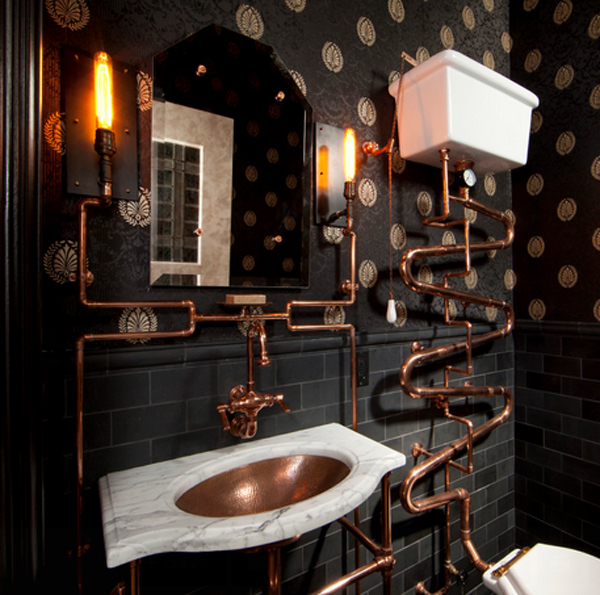 Steampunk themed spaces are quite interesting and fun, don’t you agree? 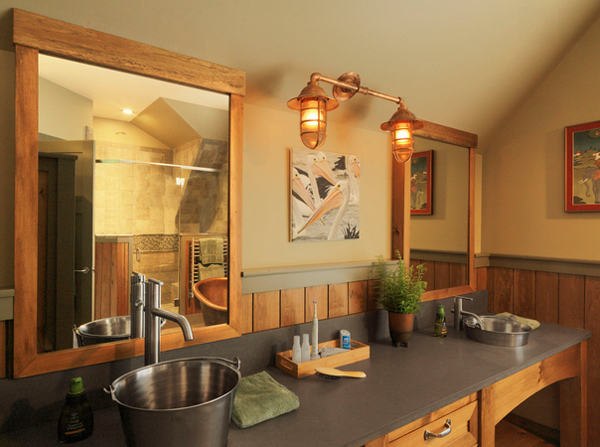 Bronze decors – mirror, hardware and lighting; I like this quite a bit. Enough of the basins, but this one shiny sample that I’m sure anyone would like or even love! 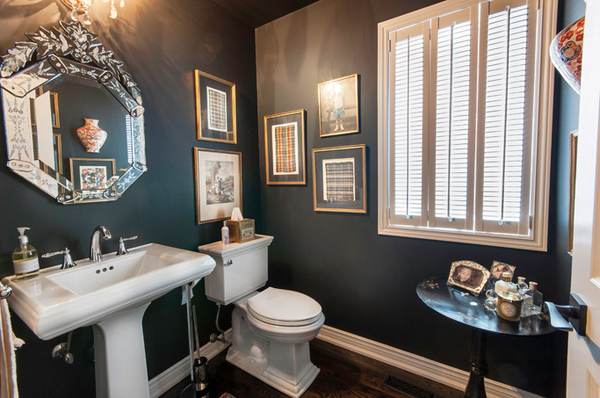 This powder room is quite masculine and really dark, but it sure is classy and sophisticated. 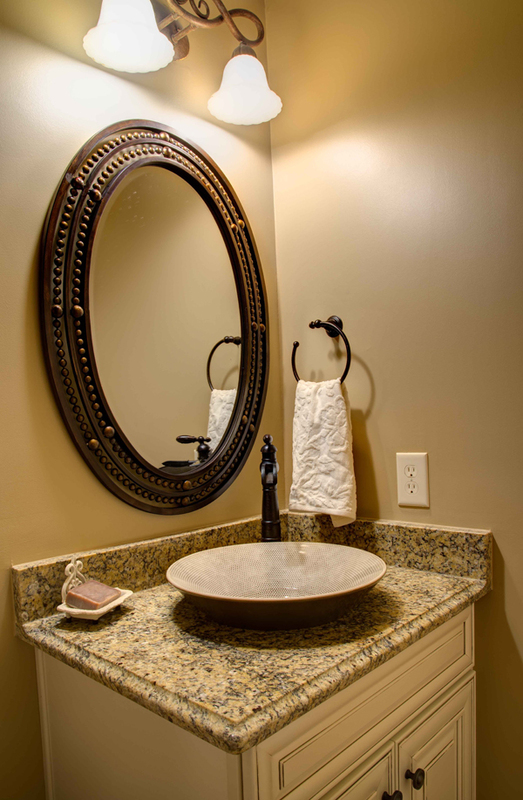 For what’s it worth, this list should just have been added to the list of bathrooms with bronze accents since they quite belong to a certain group, you know, but then again, I wanted to showcase more of the vanity area that is sometimes not showcased in a bathroom photo. 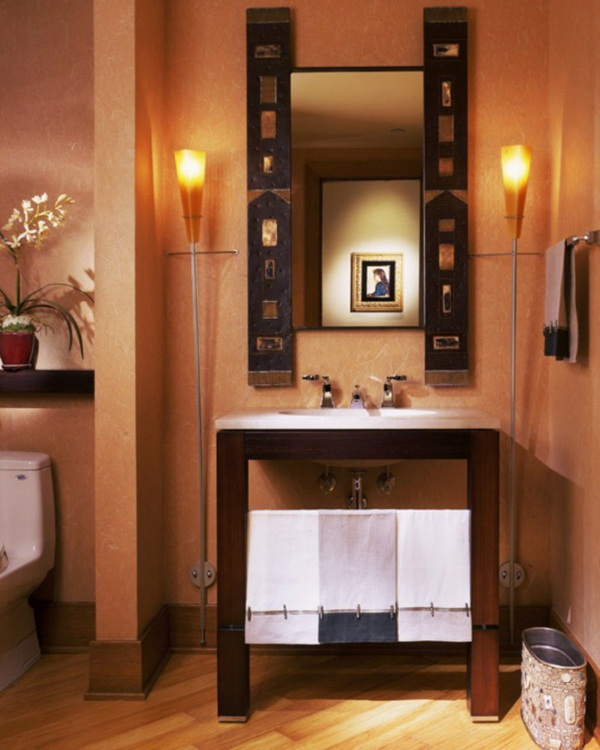 The 20 Captivating Bronze Accents in Powder Rooms is one list to consider once in a while; I hope you think so too. Anyways, I hope that you liked this list as much as the other bronze decors for the house.